Dan Marino, Bill Cowher, Shannon Sharpe and Boomer Esiason discuss the Monday night football game between the Baltimore Ravens and the Houston Texans. In the preview they talk about the problems with the Texans defensive secondary and the lack of production from Ravens QB Joe Flacco. CBS Sports James Brown, Dan Marino, Bill Cowher, Shannon Sharpe and Boomer Esiason share their thoughts on the Washington Redskins vs Philadelphia Eagles game. This game is a huge game for both teams. The Washington Redskins are trying to get back on track after losing to the Lions and benching their QB. The Philadelphia Eagles are trying to keep on track under the direction under Vick. This is surely going to be a great Monday Night Football game. The guys over at CBS’s The NFL Today, James Brown, Dan Marino, Coach Cowher, Shannon Sharpe, and Boomer Esiason break down the Monday Night Football match up between the Pittsburgh Steelers and the Cincinnati Bengals. This game is one of those games that is guaranteed to be a physical one. The Steelers are looking to rebound after a tough loss and the Bengals is looking for any way to starting moving their season in the right direction. Pittsburgh defense would welcome the Bengals struggling offense. Mike Tomlin will have his guys ready to play after losing to the Bengals twice last season. On Monday Night Football we are in for a treat. This NFC East match up will truly determine the faith of the Dallas Cowboys. It was also give the New York Giants a huge boost in the division. Our good friends over at CBSSports.com breaks down the Monday Night Football match up. 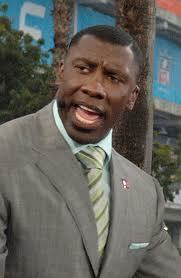 James Brown, Dan Marino, Bill Cowher, Shannon Sharpe and Boomer Esiason share their thoughts with us about the game. The CBS Sports Senior Vice President of Communications LeslieAnne Wade said, “We accept Shannon’s decision and decline to comment further on a pending legal matter.” Though it’s reported that he is stepping aside, shouldn’t we question his behavior? Even further shouldn’t be question the message that CBS is portraying to young kids across the United States? Below is the temporary restraining order petition filed against Shannon Sharpe.